Samsung-owned Harman International on Wednesday launched the JBL Free in India. A pair of truly wireless earphones, designed to counter Apple AirPods and Bose SoundSport, the JBL Free are claimed to deliver up to 24 hours of combined use on a single charge. They are touted to align with an everyday active lifestyle to offer wire-free calls and music playback while on the go. The JBL Free comes with a price tag of Rs. 9,999 and are available for purchase through the Harman Audio online store, various online and retail channels, and 350 key Samsung brand stores across the country. Originally showcased at IFA 2017, the JBL Free earbuds feature 5.6mm drivers that have a frequency response between 10Hz and 22KHz. There is a JBL Signature Sound technology that is claimed to offer an intuitive, intelligent sound experience. The earphones come with a smart charging case that provides over 20 hours of power along with a 15-minute quick charge technology that adds an hour of music playback. Separately, the earphones deliver continuous listening for up to four hours. In terms of ergonomics, the JBL Free come with three ear-tip sizes and two silicone sleeve sizes. Users can also interchange ear-tips and sleeves for nine different size combinations. The earphones also have an IPX5-certified design for resisting splashes of water and sweat. 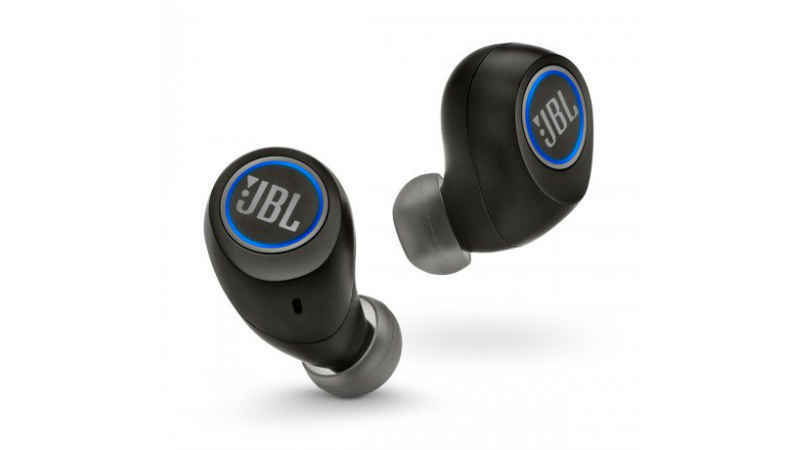 To offer a cross-platform experience, the JBL Free earbuds have Bluetooth connectivity with support for A2DP v1.3, AVRCP v1.6, HFP v1.6, and HSP v1.2. "JBL Free truly steps up the listening experience with its superior sound, versatility and sleek looks. The cord-free earbuds encourage music lovers and executives to break up from wires and neckbands for truly unrestricted movement. We are excited to introduce the new in-ear headphone to add to their active lifestyle, give them high-quality audio and the freedom to experience audio in a completely new way," said Sumit Chauhan, Vice President - Lifestyle Audio, Harman India, in a statement announcing the new launch.